Unlimited domestic calls in Japan. No need to worry about local call charges! 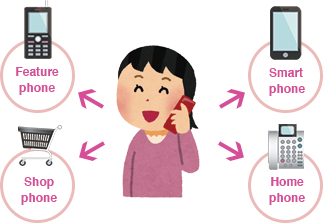 Take advantage of our unlimited domestic calls service, anywhere in Japan. 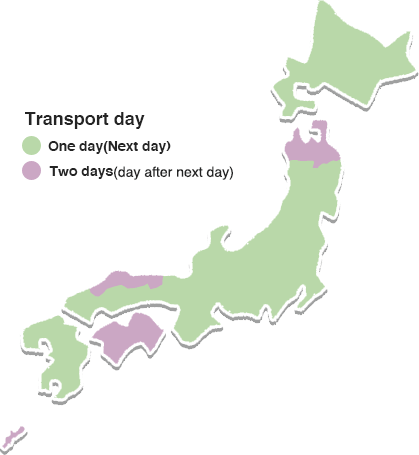 For ¥200 per day, you can enjoy unlimited domestic call time. This service is also open to travelers who don’t order our rental Wi-Fi products. * Note: Costs for making international calls are not included in this service, and will be charged separately. 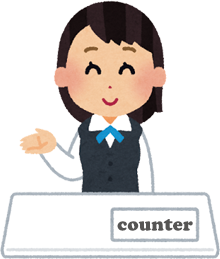 Our company has pickup counters in Sapporo, Tokyo, and Fukuoka. We can deliver the package to you, but you can also come and collect it directly. If you collect the package directly from the counter, we will not charge you for any handling or shipping fees. We will also rent a cell phone to you for free. We offer half price discounts on 2nd and subsequent device rentals, when all ordered together. Contact us for terms and conditions on this discount offer. For family, friend and group travel, we understand there are times when you may each be doing something slightly different. For those times, extra devices can be really handy, so we offer a half-price discount for additional devices when all rented together. Covers malfunctions, loss, and water damage for ¥100 per day. If a malfunction occurs during the period of use, and you have not opted for this service, you will be required to bear the costs of repair to the rental device. If you have opted for our Peace of Mind Insurance coverage, repair costs are waived. If you lose the rental device, and you have not opted for this service, you will be required to bear the full costs of rental device replacement, and charged 42,000 yen. If you have opted for our Peace of Mind Insurance coverage, you will be charged only half the 42,000 yen replacement cost. If any repairable damage occurs during the period of use, including any water damage, and you have not opted for this service, you will be required to bear the costs of repair to the rental device. If you have opted for our Peace of Mind Insurance coverage, repair costs are waived. If irreparable damage to the device occurs, and you have not opted for this service, you will be required to bear the full costs of rental device replacement, and charged 42,000 yen. If you have opted for our Peace of Mind Insurance coverage, you will be charged only half the 42,000 yen replacement cost.